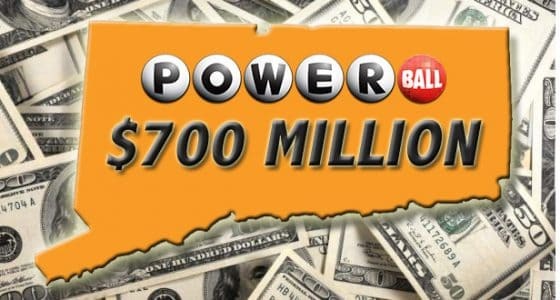 The Powerball Lottery will claim the second largest lottery jackpot in history with the Wednesday night drawing that takes place at 10:59pm on the east coast. The drawing on August 19th was charted at $535 million dollars to which no one drew the winning card. That amount will grow to an estimated $700 million for tonight’s drawing and that’s probably because the odds are in the favor of the lotto commission. Becoming an instant millionaire was a lot easier two years ago, it still wasn’t anywhere near ‘easy’ but it was a lot easier than it is now. The chances that you had of winning the big payday were around 1 in 175 million back in those days. These days? 1 in approximately 292 million. So, what made the long odds even longer? A seemingly modest change to the amount of balls played is what increased the likelihood of you losing your chance at millions. In October of 2015 the number of total balls drawn for the willing cards rose by ten from 59 to 69. This was a move by the companies who run the jackpots to increase the odds in order to provide fewer chances and report even larger jackpots than what has even been seen. They are currently on their way to breaking the record jackpot after tonight’s drawing (unless I have the winning ticket). Have the harrowing odds discouraged anyone from playing? Apparently not based on the size of the jackpot, which can’t reach that level without lots of participation from players. The amount of the jackpot is likely to see huge increases before the drawing, as well. This is because of a certain demographic of lottery players that have been named “jackpot chasers” according to Colorado Lottery Spokeswoman, Kelly Tabor. These ‘jackpot chasers’ are lottery players that only play the lottery when the jackpots reach record highs. She commented further about how it’s really driving up sales at this point. She estimates that if no one wins the jackpot tonight, by the time of the next drawing the amount is likely to surpass the largest jackpot ever recorded at $1.6 billion dollars. Anyone who doesn’t have time to go pick up a ticket or who isn’t within close proximity to a ticket retailer can opt to buy Powerball tickets online through a legally sanctioned online lottery agent. For those of you who have never heard of this type of service, you can read more about licensed lottery agents to see how an online ticket purchase works. Despite the drastic odds swing in the favor of the lotto commissions, there has been a surge in smaller amount winners since the rule change to allow for more opportunities to win smaller amounts. There are more people winning amounts around $50,000 and $100,000 then there were before and that has a direct correlation to the feedback from the players according to Tabor. Players who enjoy going after the Powerball jackpot are typically also found playing other USA lottery games available online such as Mega Millions and Hot Lotto, among others. The amount a person practically takes home after taxes and choosing the lump sum (like most people do) is usually around half of what the actual prize is. Tonight’s actual money won in the lump sum will be somewhere around $443 million depending on your state’s taxes. Kelly Tabor left the interview with one piece of advice for all Powerball players. She said, “If you’re playing Powerball, go over to Connecticut”.